We're investing in the youth of Lane County. 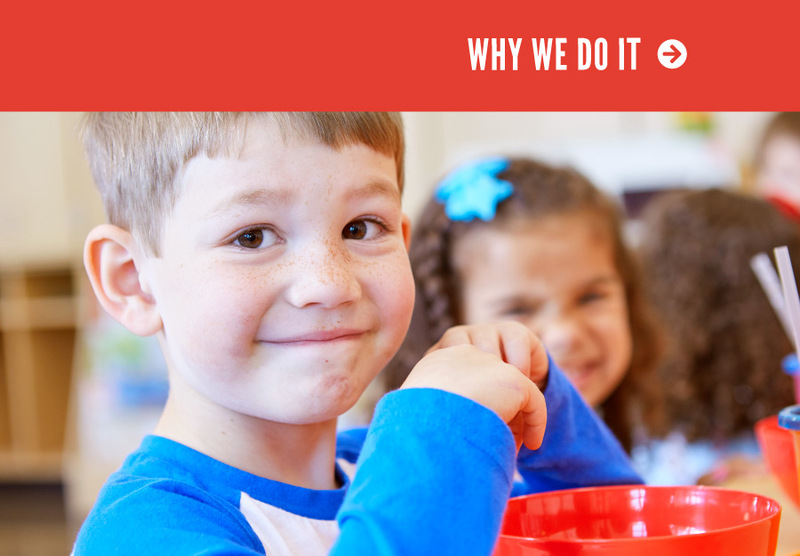 Our vision is to create a community where all kids are successful in school and life because we believe healthy, successful kids are the best investment in our future. We work toward this vision by assessing the need and creating a plan, raising funds and investing in the community, mobilizing people to action, and measuring results. successful in school & life. Helping students reach essential reading benchmarks by the end of third grade when they stop learning to read and start reading to learn. We believe in the power of community. We bring people together to understand the needs in Lane County, work together to solve complex problems, and develop a plan to achieve positive outcomes. We raise money to invest in local solutions, and encourage volunteers and experts to get involved. Finally, we measure results, make changes, and keep Lane County moving forward. Your dollars help improve lives & enrich our community. individuals served through United Way funded programs. hours of volunteer service contributed. The powerful benefits of volunteering your time have a positive impact on the community and you – when you do something good, you feel good and the community improves! Let us connect you with opportunities that are right for you. volunteers donated their time to volunteer with us in 2017.
companies partnered with us for volunteer projects in 2017. United Way brings together people and resources to tackle complex issues. Support United Way and connect with the community through a corporate sponsorship. Show that your company cares while helping us spread the word about our crucial work. It takes all of us working together to make a difference. That’s why we rely on strong partnerships from businesses, non-profits, and individuals.